A marriage of two sporting dynasties is upon us as tennis commentator Andrew Castle reveals his younger daughter, Claudia, has got engaged to cricketer Will Tavare. 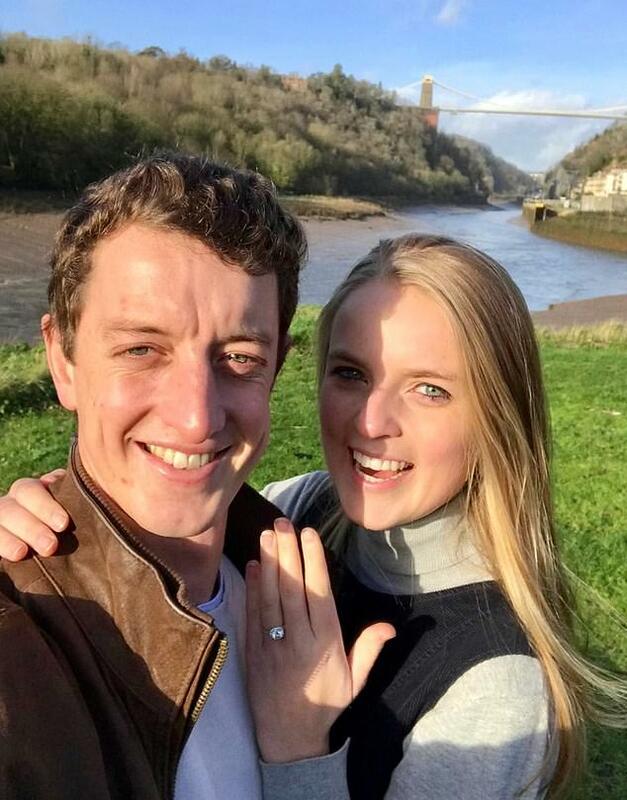 The 24-year-old sports PR met the Gloucestershire-born batsman, 28, in Australia three years ago when he was playing for Melbourne Cricket and poses proudly here with him and her diamond ring. Her father, who lives in South-West London with his wife, Sophia, and who was ranked Britain’s No. 1 tennis player in 1986, reckons it’s a love match. The cricketer, whose uncle, Chris Tavare, is a former England batsman and captain of Kent and Somerset, can also give Andrew a run for his money on the tennis court. ‘He can serve at 130 miles an hour,’ adds Andrew. ‘I invited him to play at the All England Club and he aced me. Watch out! Interior designer Nicky Haslam is writing a follow-up to his memoirs, in which he will dish the dirt on his famous pals. ‘I’m working on my second autobiography,’ the 79-year-old tells me. Nicky, whose late friends include Sir David Frost and socialites Tara Palmer-Tomkinson and Lucy Birley, teasingly refuses to name any names — yet. The year ends in sorrow for the family of one of the Prince of Wales’s oldest friends, Lord Tryon, who has died at home in Wiltshire, aged 78, surrounded by his four children, Zoe, Charles and twins Victoria and Edward, with his dog, Fordie, at his bedside. Anthony Tryon’s life was inextricably entwined with that of the Royal Family: his father, the 2nd Lord Tryon, was Keeper of the Privy Purse to the Queen, and the young Anthony was a Page of Honour at her coronation in 1953. He later endured a more lurid connection when his Australian wife ‘Kanga’ — Dale Harper — was allegedly romantically involved with the Prince of Wales, whom she’d first met in 1966 during his time at Australia’s Geelong Grammar school. Lord Tryon married her in 1973. Two decades later, plagued by ill health and addicted to painkillers, her behaviour became disturbingly erratic, and in 1993 she plunged 25ft from a window while receiving treatment, leaving her wheelchair-bound. Divorce followed in 1997; two months later Kanga was dead, aged just 49. Yet her younger daughter, Victoria, later recalled that Lord Tryon ‘never stopped loving [her]. Millionaire conservationist Damian Aspinall will be proud to see his daughter, Freya, following in his footsteps. 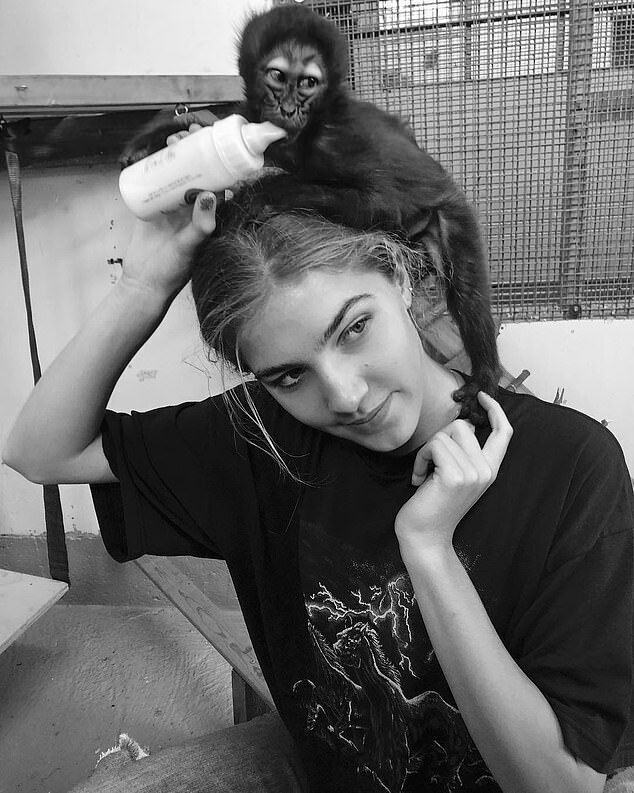 Having spent much of her childhood in the company of gorillas and cheetahs on his wildlife park in Kent, the 15-year-old looks in her element as she feeds a baby monkey a bottle of milk. Her mother, TV personality Donna Air, recently told me that Freya’s modelling career has had to take a back seat. ‘Freya’s being developed by Storm, but as much as she’s eager to be independent and working, school comes first,’ said the 39-year-old. ‘She’s also helping her father with his conservation projects, so she’s getting more and more involved with the animals. She’s really passionate about it.’ Clearly! How should a Yorkshireman stay true to his roots? Fiery TV chef Marco Pierre White, who was born and trained in Leeds, has taken his Northern pride to new heights. However, perhaps Marco, who is separated from his third wife and has had a rocky on-off relationship with actress Emilia Fox, is not the best person from whom to seek romantic advice. EDEN CONFIDENTIAL: Has millionaires daughter found her prince?